Here’s a poetic story of nature’s power, noted while standing on an ‘energy rock’ in an outdoor amphitheater, transmitting this energy to my nearby group of fellow birders, who were all able to feel its effects. 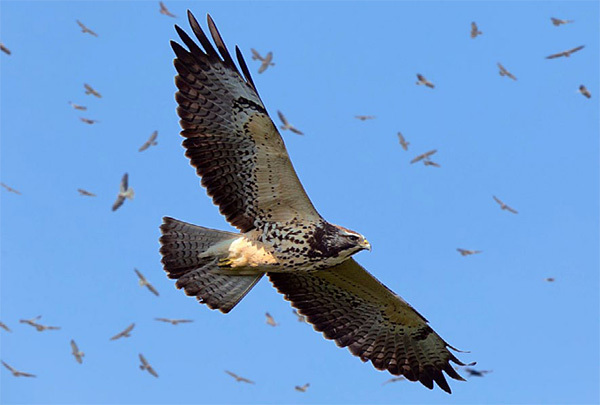 Together we witnessed the tremendous fall migration of raptors, these birds coming from all parts of the US mainland and funneling down a narrow pathway between the mountains and the sea near Veracruz, Mexico. Today – what found we in our world? Early, raptor-thousands, all wings unfurled. That which gifts the individual, gifts the whole. A silent receiver, and a generous giver. What relates us to those birds in the sky? Nature-gifted migration, pleasing to our eye. I can just feel the thrill of being there in that place and time. Witness to a powerful rite of passage for another species – grateful!